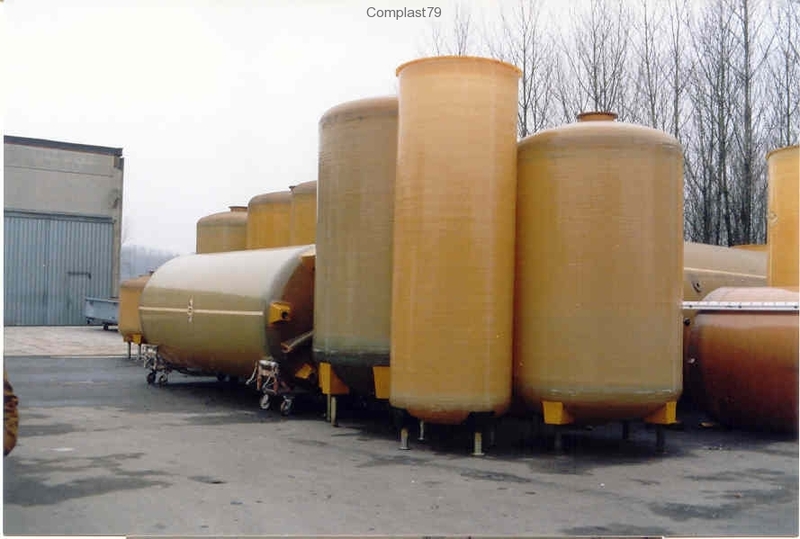 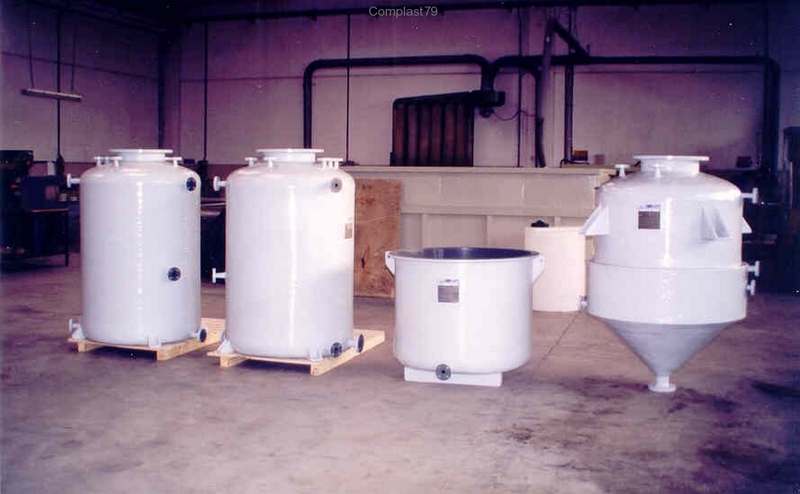 Fibreglass-reinforced polyester resin (PRFV) tanks form a family of materials with exceptional properties that have become an essential requirement for the processing, storage and transport of highly-corrosive liquids. 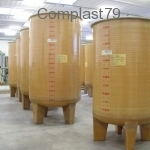 They are composite materials, so called since they are the combination of two distinct elements, usually resins and reinforcing fibres, that determine their characteristics: the polyester resin, matrix of the compound, provides the chemical, electrical and thermal properties; the fibreglass is the reinforcement that lends the structure its mechanical strength. 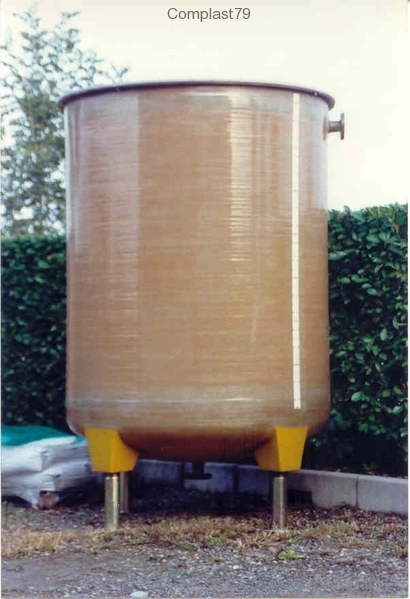 The internal chemical-resistant barrier is obtained with a layer of C-glass and bisphenol polyester resin providing excellent chemical resistance, above which a structure is formed by continuous filament winding whose orientation angles also include the bottom, thus giving the structure high mechanical strength, whilst the outer coating comprises C- or E-glass impregnated with weather-resistant resins. 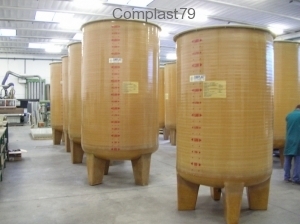 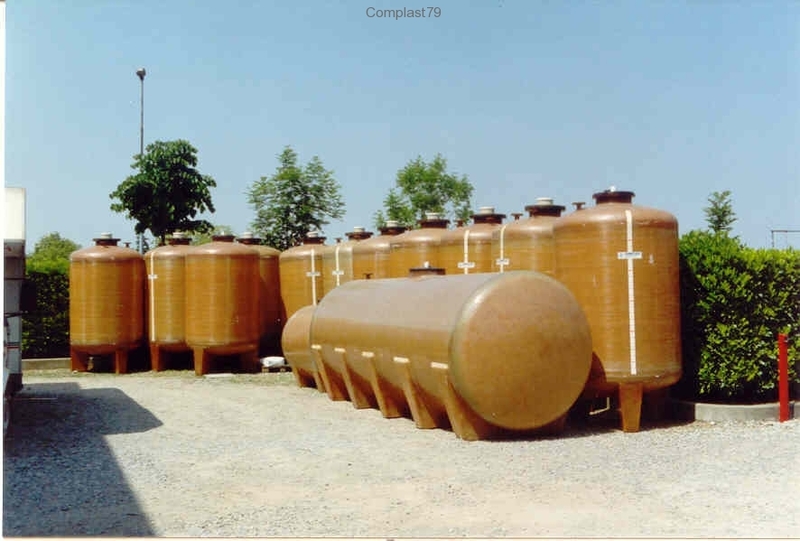 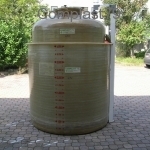 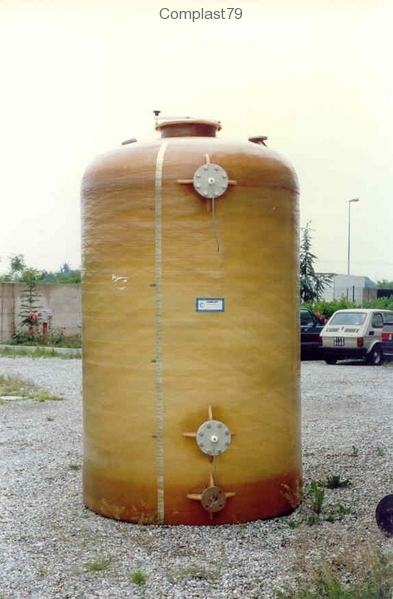 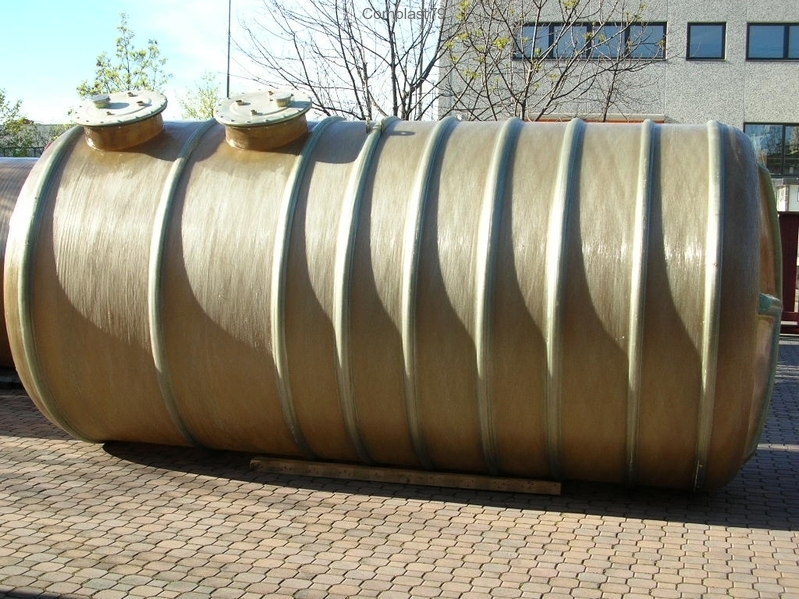 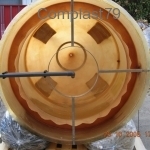 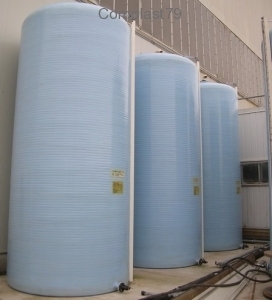 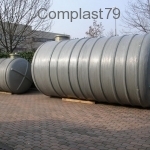 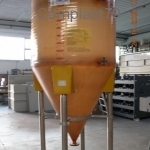 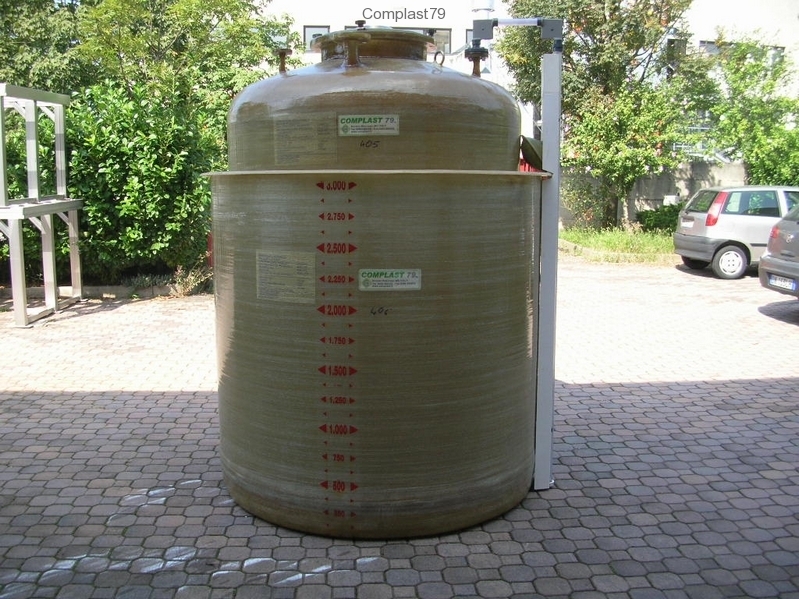 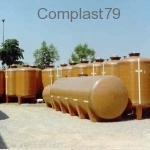 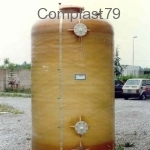 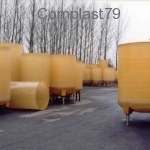 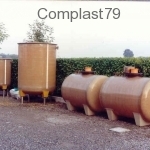 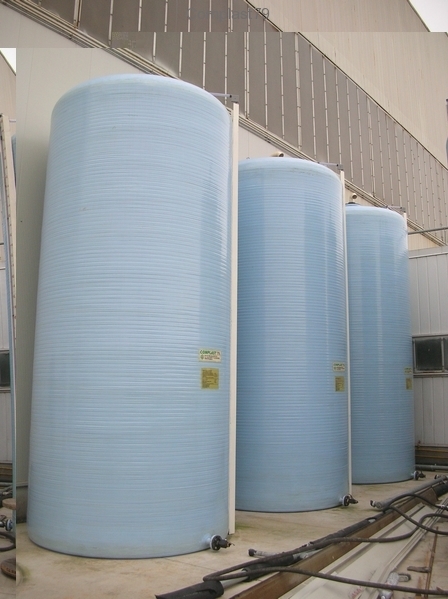 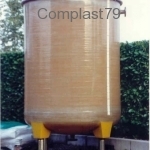 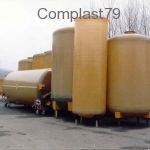 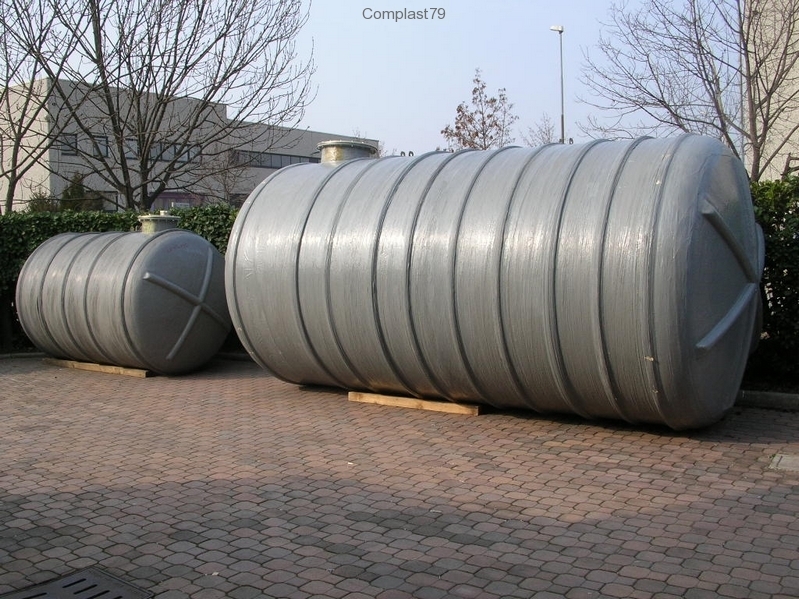 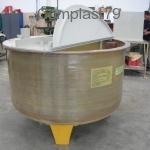 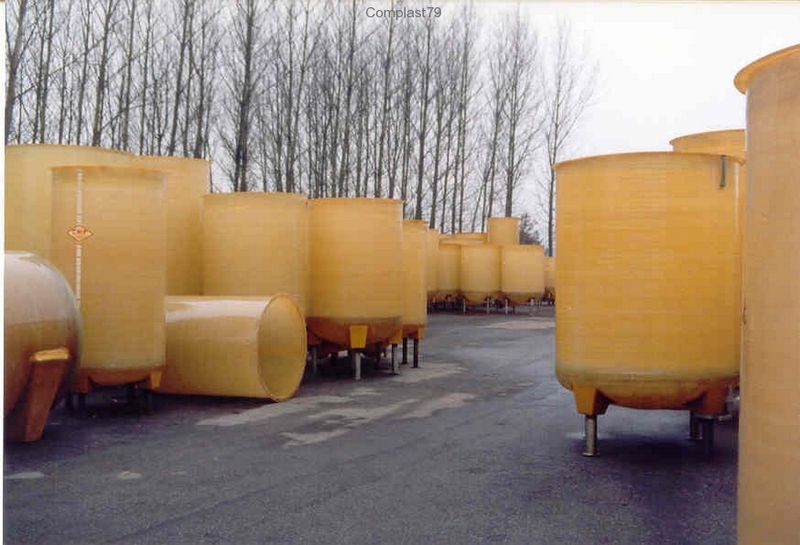 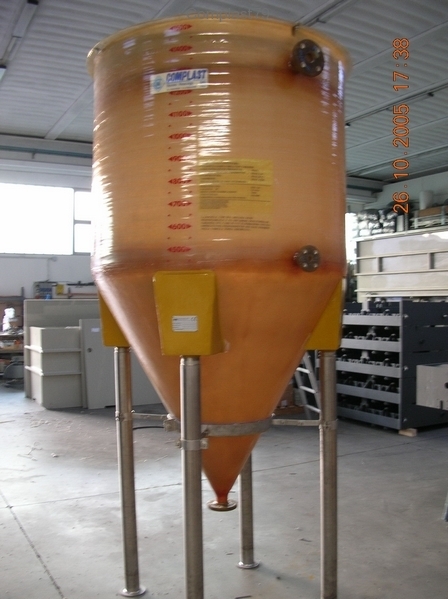 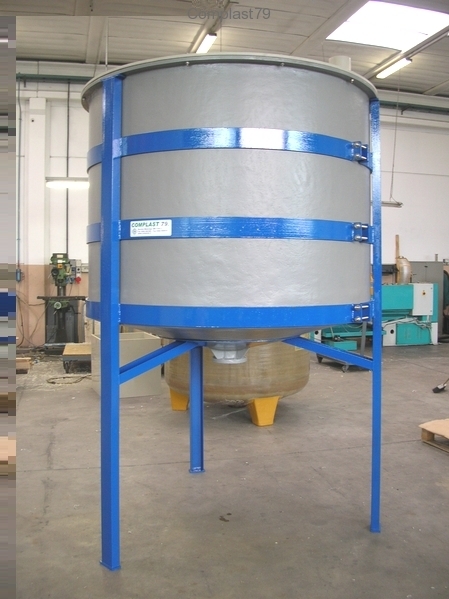 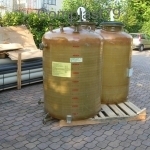 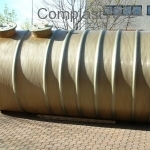 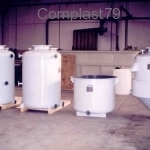 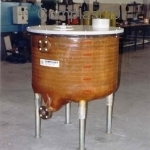 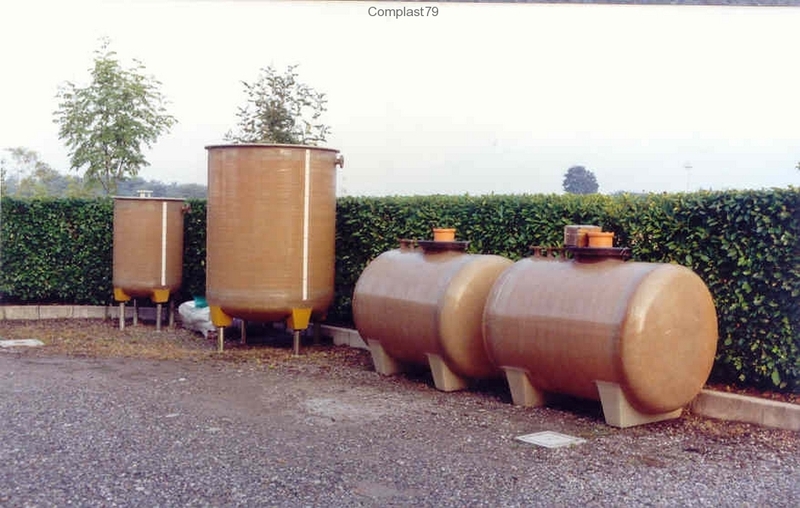 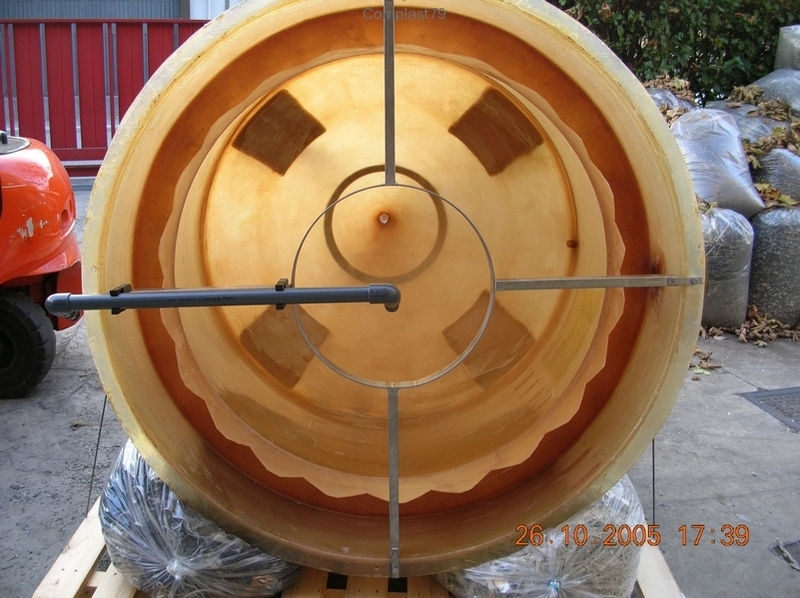 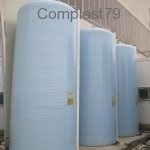 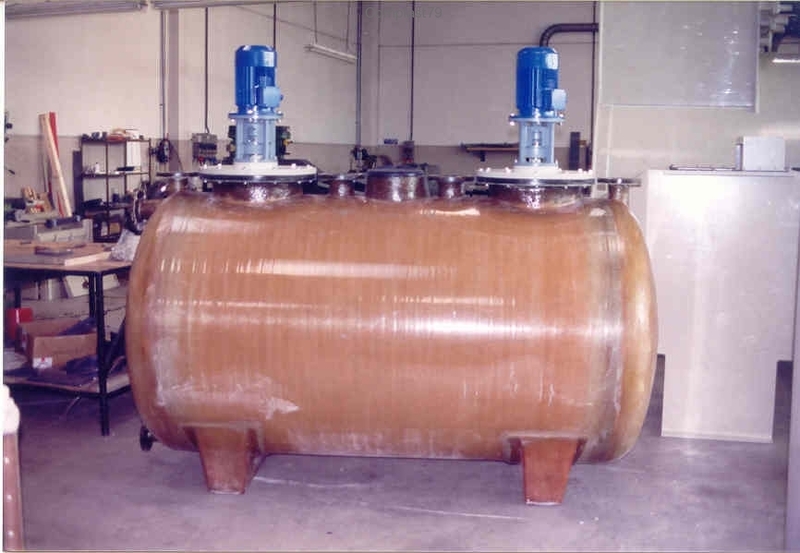 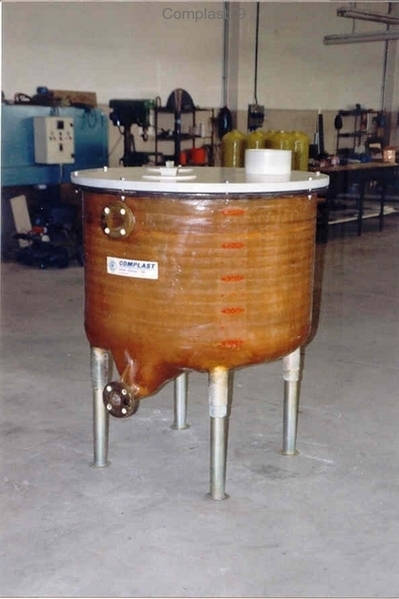 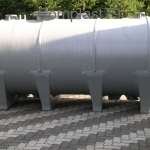 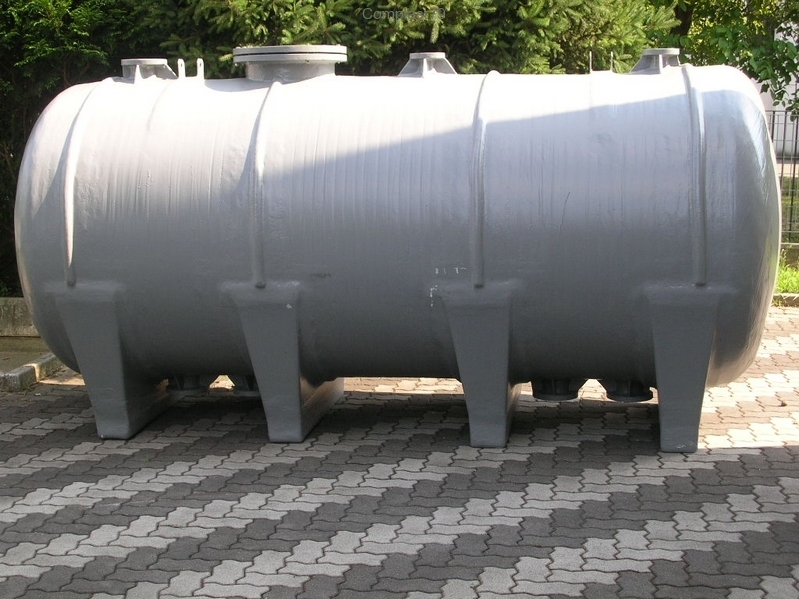 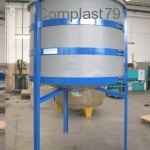 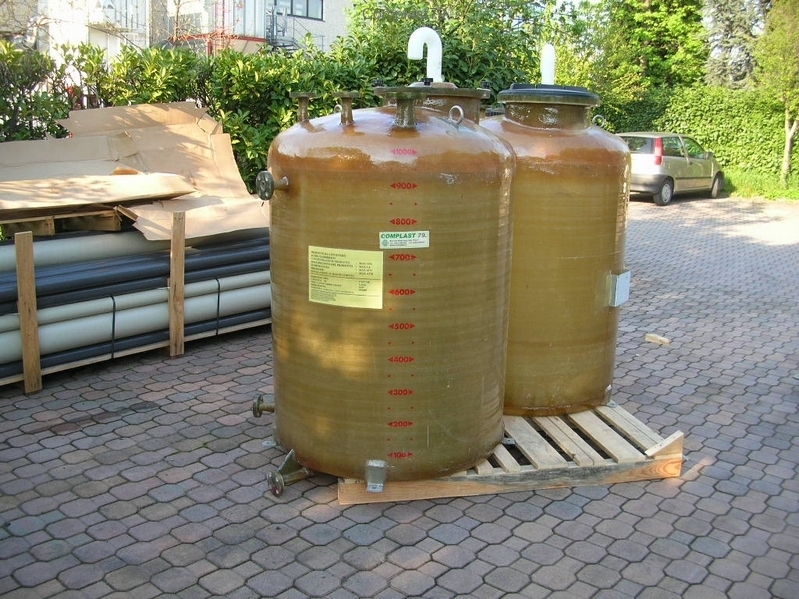 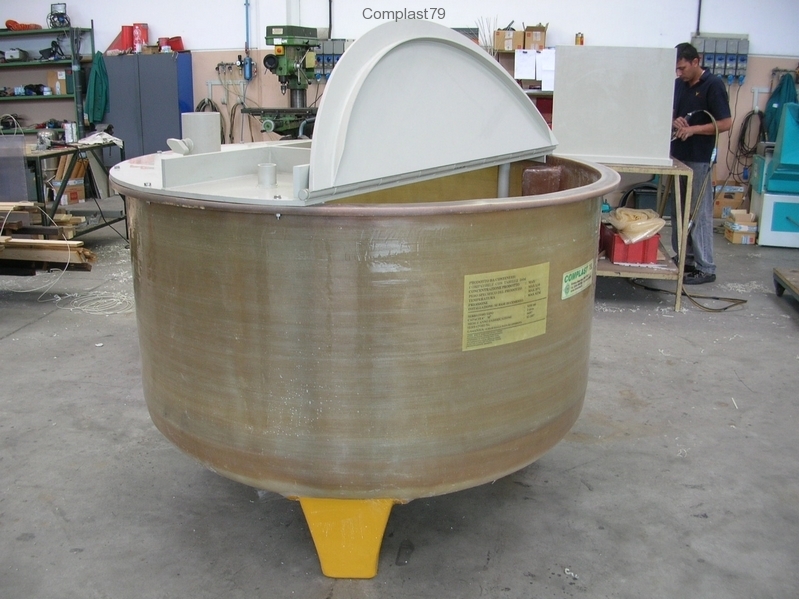 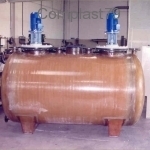 The most immediate advantages obtained from this type of tank are: high chemical resistance, high mechanical strength along with reduced weight (about ¼ that of steel), long service life with lower maintenance, exceptional electrical insulation with high resistance to galvanic corrosion and stray current, excellent thermal insulation due to the low thermal conductivity.